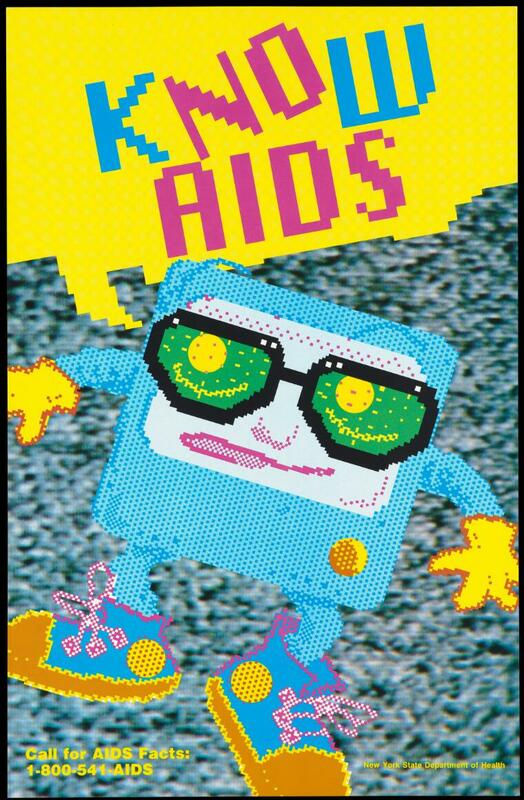 A pixelated square figure with glasses, arms, legs and trainers with a speech bubble containing the words 'Know AIDS'; an advertisement for AIDS facts by the New York State Department of Health. Colour lithograph. Know AIDS. Call for AIDS Facts. 1-800-541-AIDS. New York State Department of Health.